1. How long will my blinds take before they are delivered? 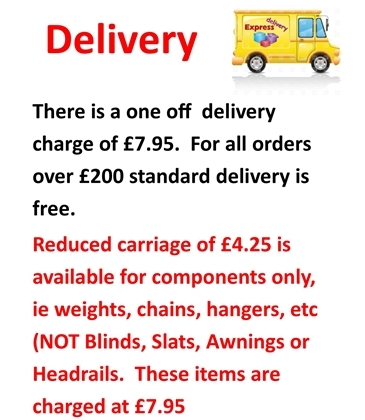 Blinds4less always aims to deliver orders in approximately 7 to 9 working days. 2. I have received blinds the wrong size! 3. I have ordered the wrong size blinds! All of our Blinds are made to measure and we are therefore unable to make refunds due to incorrect sizes given by customers. Therefore, please take great care when measuring to ensure that the Blind will fit the required window. Please see our measuring and fitting section on the home page of our website. 4. The Louvres on my Vertical are not lining up! This is easily rectified; when the Vertical Blind is closed, pull the beaded chain until the slats are in the closed position, then gently force the chain past the point of closure so the carriers can realign. Don't worry if you hear a grinding noise from the head rail as this is perfectly normal. 5. I have just put up my Vertical Blind and the louvers won’t turn! This is quite a common occurrence; most likely the louvers were originally hung onto the head rail whilst the hooks were in the closed position. You need to take the louvers off the head rail and then turn the chain round until the eyes of the hooks are facing into the room, turn them slightly (25 degrees) and hang them from one end to the other. This means that when you re-hang the louvers, you'll be able to see through them and out of your window. Your louvers should now rotate without any problems. 6. How do I measure for a bay window? 7. How many samples can I order? You can order as many samples as you think you will need as a good base for comparison. Our samples are always sent out by First Class Mail and should reach you within 3 to 4 days of ordering. In the event of your samples not arriving, please email us at blinds4less@blueyonder.co.uk and we will ensure that the samples required are sent out urgently. 9. What’s the difference between Recess and Exact sizes? An exact size blind will be made exactly to the measurements you entered onto the site. So if you want the blind to go on the outside of your window this is the type of measurement you should give us. N.B an allowance is still made with verticals on the drop (1cm) even if ordered exact. A recess size measurement is needed for a blind that you would like to fit within the recess of your window. We make reductions to the blind to ensure that it will fit perfectly within your window. If you window has tiles fitted within part of the recess, don’t forget to measure between the tiles as this will usually be the narrowest part of the window. 10. How much does it cost to have my Blinds delivered? 11. 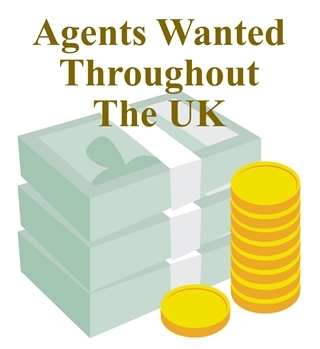 Do you deliver outside of the UK? 13. I ordered a Timber Blind last month and have just ordered another but they look slightly different, why is that? As stated in 12. above, wood is a natural product the look and behaviour of each slat will reflect this. Slight imperfections in the timber will alter colour just as the width between the grain will affect the absorbency of the stain. Slight warping is also a natural characteristic of wood and does not constitute a defect in the blind. 14. Do the Blinds come with everything required? 15. Are the blinds easy to measure and fit? Yes our Blinds are generally easy to measure and fit. 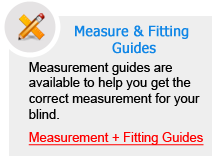 For further information, please see our comprehensive how to measure and how to fit instructions on our Website. 16. What are your Venetian Blinds made of? Our Venetian Blind veins are made of Aluminium which is factory sprayed to its finished colour. Our head and base rails are also metal and generally colour co-ordinated. We offer a huge range of plain, metallic and pearlised finishes and by using only the finest materials are able to offer an extensive warranty on every blind in our range. 17. Are Your Roman Blinds Lined? Unlike many other Blind companies, all of our Roman Blinds come fully lined as standard, we are also able to offer a blackout lining on a large range of fabrics at a small extra charge. 18. What Type of head rail do you use for your Roman Blinds? 19. Do you have a brochure? Due to the ever changing nature of our business, our Website acts as our brochure and contains all currently available products, together with sale offers and discounts. 20. What kind of Timber are your Wood Venetians made of? 21. What tools are usually needed to fit blinds? If the Blinds are being fitted direct to timber frames or other timber surfaces, a tape measure, pencil and Phillips screwdriver are the minimum tools required. If you are fitting to the underside of a plastered surface with a lintel above, you will require a power drill and appropriate drill bit. In modern properties the lintels above windows are often metal and we would recommend drilling into these using a 3mm high speed metal twist drill. This will then enable you to fix the blind using40mm x 8’s self tapping screws. In older properties of more than say 40 years old, the lintels above windows are often pre stressed concrete lintels and for these we would recommend a hammer or sds drill with a 5.5mm or 6mm tungsten tipped drill bit. This will then enable you to insert a red plastic plug into the hole you have drilled and fix the blind brackets using 40mm x 8’s self tapping or wood screws. 22. What type of blinds do you recommend for bathrooms? Bathrooms tend to be steamy, so it's best to choose a blind that can cope with these conditions. Aluminium Venetians are an ideal choice as natural Wood Venetians may warp slightly. If you are after a natural look, try something from our Alu-Wood (Wood Effect) Aluminium Venetian range, these combine the look of wood and offer the practicality of Aluminium Venetian Blinds. If your Bathroom window is well away from the bath or sink and dampness is not a major issue, Roller Blinds can offer a soft and attractive addition to your Bathroom Décor. We offer a huge combination of fabrics, finishes and trims as well as an almost infinite variation of colours. Certainly the most popular types of blinds for conservatories are Vertical blinds and Pleated blinds. Vertical blinds are a great option as they are relatively inexpensive, offer great light control and can offer the customer privacy while still allowing light into the room. Pleated Blinds have been developed for use in Conservatories and sun rooms. Most of our Pleated Fabrics has a solar reflective coating on the reverse face of the fabric, thus enabling them to reflect a large percentage of the suns rays and thus keep the conservatory cooler than would be the case with other Blinds. Our pleated blinds also draw up into a small profile rendering the Blinds unobtrusive when not in use. We have an option of white or Brown head rails to suit most types of conservatory. 24. Why are pleated blinds so effective in conservatories? Pleated Blinds have been developed for use in Conservatories and sun rooms. Most of our Pleated Fabrics has a solar reflective coating on the reverse face of the fabric, thus enabling them to reflect a large percentage of the suns rays and thus keep the conservatory cooler than would be the case with other Blinds. Our pleated blinds also draw up into a small profile rendering the Blinds unobtrusive when not in use. We have an option of white or Brown head rails to suit most types of conservatory. 25. How can I be sure that my Credit or Debit Card Details are secure? 26. How can I be sure that you have received my order? Often the email receipt can be found in your junk mail, please check this and if this is so press not junk or not spam so that all future correspondents goes to your inbox. 27. Can I nominate a delivery address other than my home address? Leave us your email address and we ll alert you when we have special offers to shout about.